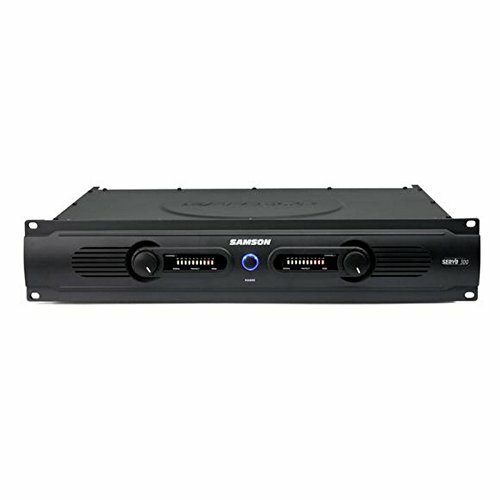 The Servo 300 is a great choice for powering a small to medium sized PA, or an intergrated conference room audio system.The Servo 300 features large 10-segment 3-color level LED meters and independent channel volume controls. The rear panel includes 1/4-inch balanced and RCA input connectors, as well as 5-way binding post and 1/4-inch speaker outputs. The Servo amp line also features a 4-stage power protection circuitry that ensures optimal performance and protection of connected components.